Why? Well because there are certain foods we restrict ourselves to except at certain times of the year. We’ll only eat turkey during Thanksgiving or during the Christmas holiday season, and the same logic applies to what we’ll allow ourselves to eat during a state fair. So, now that your stomach has been put in “ready” mode what kind of gastronomical delights await you? 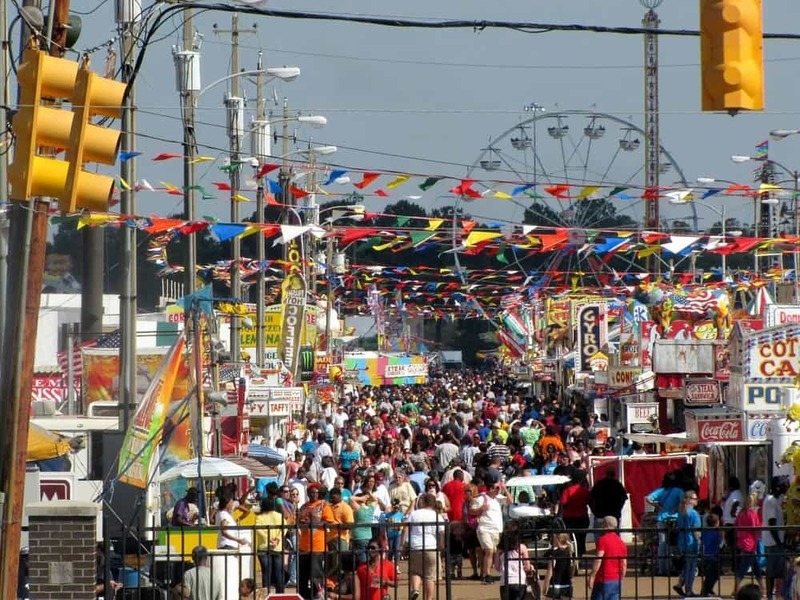 The first thing you need to know is there are over 120 different concession stands at the fair, serving pretty much any type of food you can imagine. Literally. We’re not kidding. At least one of the concession stands at the Sacramento State Fair will be serving a dish that will have you drooling with desire. If you’re not sure what your taste buds are really craving then you should definitely turn up for a “Taste of the Fair” evening on July 13th, 14th, 20th or 21st. For just $2 you can sample an offering from any one concession stand. 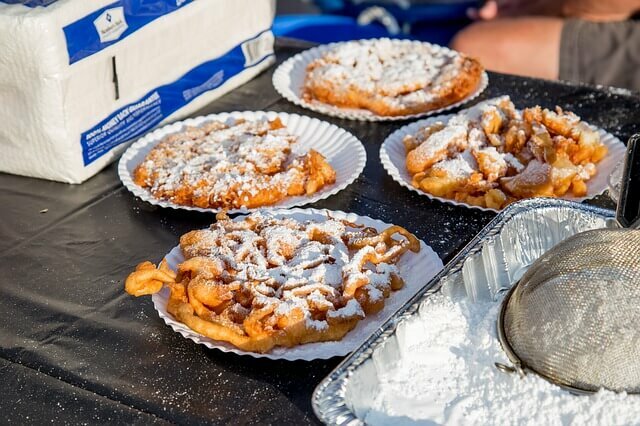 At less than the price of a beer you have the perfect reason to show up for at least one of the “Taste of the Fair” nights, so you can plan your full-on food assault for several days later. It’s not all just deep-friend food on a stick though – there are more healthy and vegetarian options on offer this year than ever before. There’s even a full range of gluten-free foods on the menu, so you can have a great evening at the fair while also sticking to any specific dietary requirements you might have. Some of the healthier options are somewhat questionable, like the bacon-wrapped asparagus you can buy, but this is technically a very healthy meal if you trim the fat from your bacon. But, then again, why would you do that? One of our favoritest (it’s a word) healthy options is the “Drink a Fruit from a Fruit” concession – these guys core out a watermelon or pineapple and then fill the hollow shell with super-chilled pineapple or watermelon fruit juice. Jeanne’s Artichokes is here again this year, offering fried or steamed dishes, with a mouthwatering selection of toppings. So, as you can see, you have plenty to choose from when it comes to healthier menu options. No state fair can ever claim its place among the greats without offering at least several extreme eating options for its guests. Two of the most popular, and recurring, meals at the California State Fair are the Elvis Burger and Caveman Turkey leg. Now, while we understand that these particular “dishes” are probably self-explanatory, we do need to go into a bit more detail on them. Starting with the Elvis Burger this is 1/3 pound of beef in a ciabatta roll, covered with bacon, egg, peanut butter, jelly, and some lettuce and tomato for a healthy touch. You can also get a Krispy Kreme burger, or a mac’n’cheese bacon burger. You might want to take a short walk after reading that, just in case the calories get downloaded directly to your arteries. The Caveman Turkey Leg is almost exactly what it says on the tin, except the 2-pound turkey leg is also wrapped in a pound of delicious, crispy bacon. We don’t’ really need to say much more about that here – just head on over to Bacon Habit when you get to the fair. You can thank us later. Sharky’s Fry King offers up ten different types of French fries, all of them made with hand-cut naturally-grown potatoes. “So what”, we hear you say? Well how about trying some of their lobster fries? Yes, they make fries out of lobster meat. We have to stop describing this now because saliva is dripping onto the keyboard. An eating competition is the perfect excuse for the more reserved people reading this to unleash their inner garbage disposal persona. The Sacramento State Fair offers you the choice, nay the right!, to go forth and stuff yourself silly with corn dogs, all with the goal of winning a first place prize of $2,500. This is a serious competition, by the way, so only enter if you think you can beat local champion Milo Franks – he’s basically an eating machine. Remember the pie eating competition in ‘Stand By Me’ (trivia – originally called “The Body” in the book of short stories “Different Seasons”), where contestants got to stick their faces into pies, and all to the applause of their friends and family? Want to recreate that moment in your own life? Well then you need to turn up on the Promenade Stage at 2pm on Tuesday July 12th for the annual pie eating competition. Pie eating pros show up at this event, so do your prep in advance i.e. wear something with an elastic waistband. Wave goodbye to your diet for the next few weeks, folks. You can start again come August 2016.